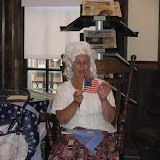 Hope to see everyone at the library tomorrow, Thursday, August 2nd at 6:30 pm, for the Boscobel Library History Club. From 1824 to 1929, more than a quarter million abandoned babies and "street rats" from slums in East Coast cities were sent west on trains by the Aid Society in hopes that they would be adopted by rural families. Their story is part of the fabric of our country and one that many descendants continue trying to piece together. Your participation is welcome and help appreciated!